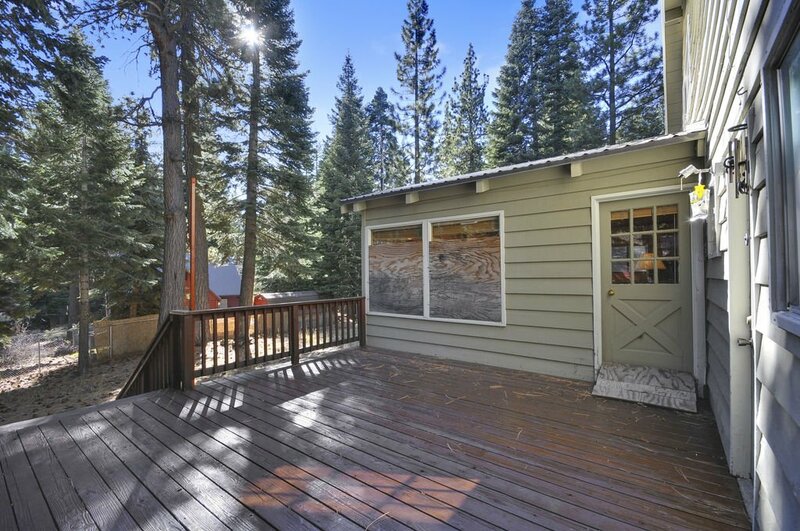 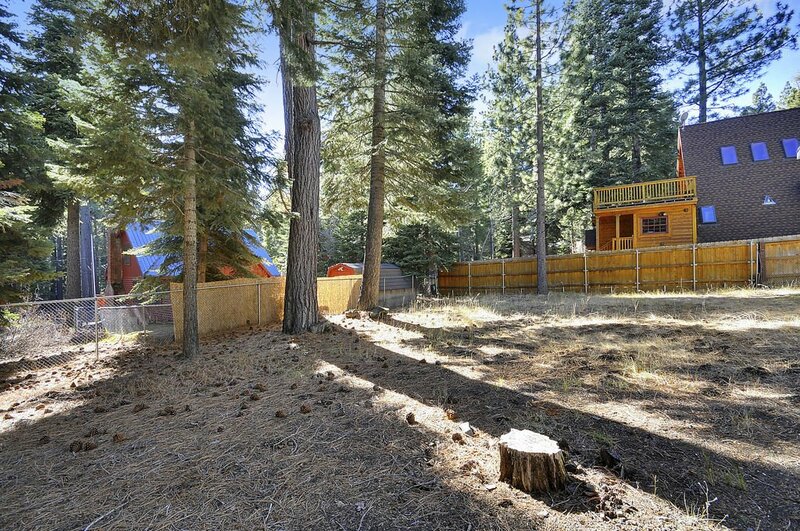 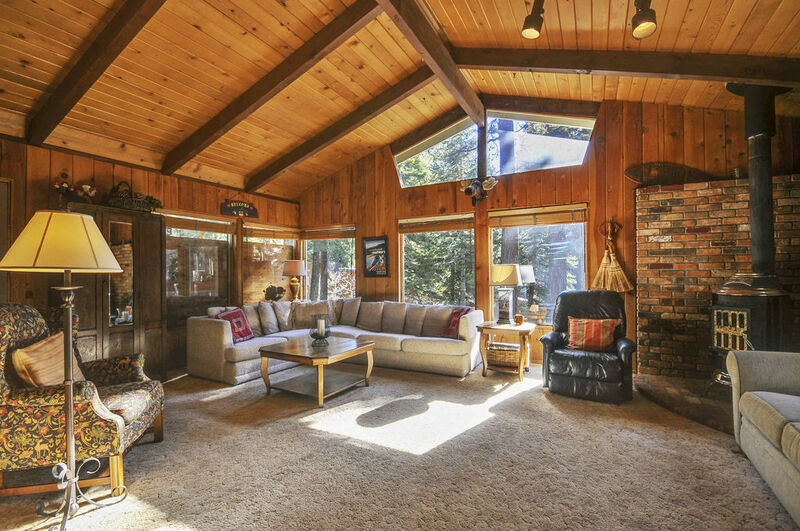 Dog-Friendly - Tahoe Park Private Beach - Ski Lease PendingCedar Crest Family Retreat is available for a ski lease starting either December 1 for 5 months or January 5 for 4 months for $2550/month plus utilities. 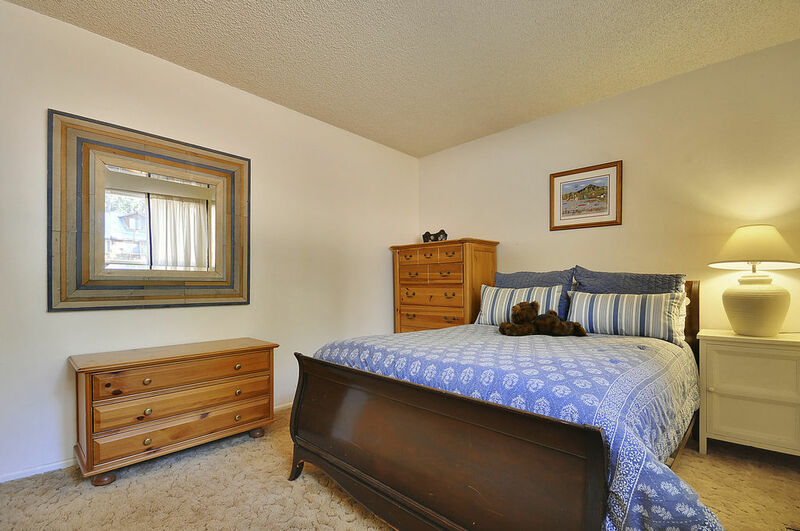 We do require that all our ski leases are cleaned monthly by our cleaners. 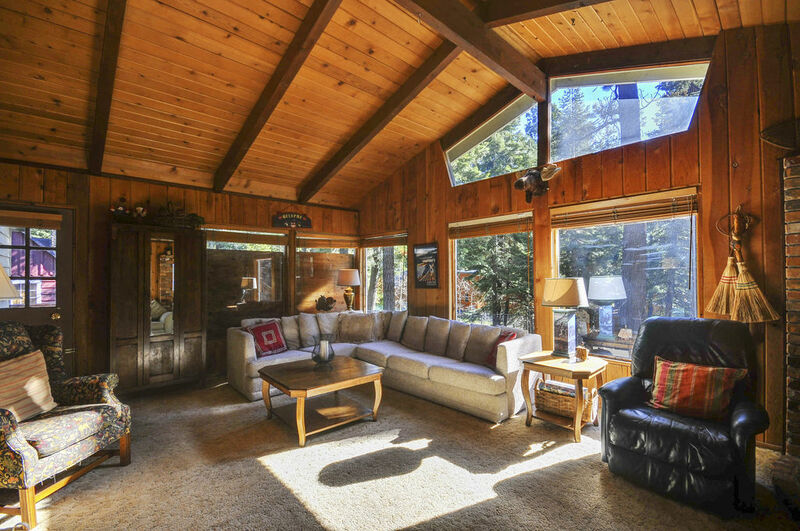 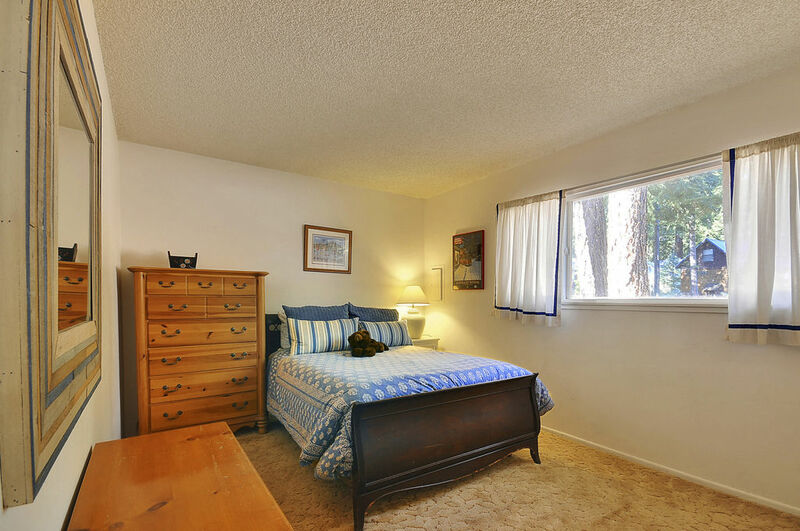 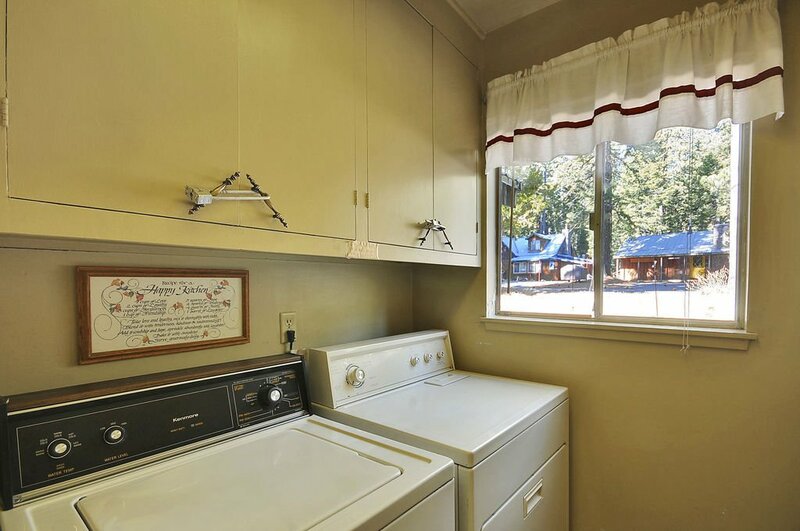 Cedar Crest Family Retreat is located on Lake Tahoe's beautiful West Shore in close proximity to Lake Tahoe access to private Tahoe Park Beach, Sunnyside Resort and the Firesign Cafe which is arguably the best breakfast in Tahoe. 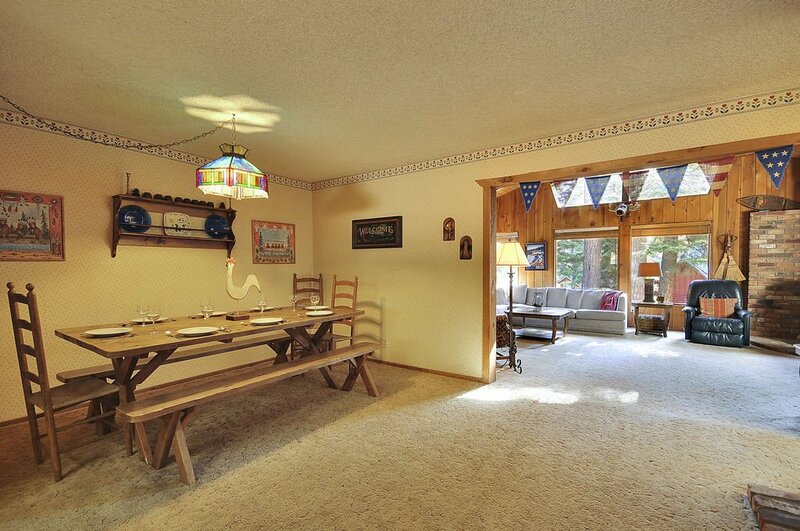 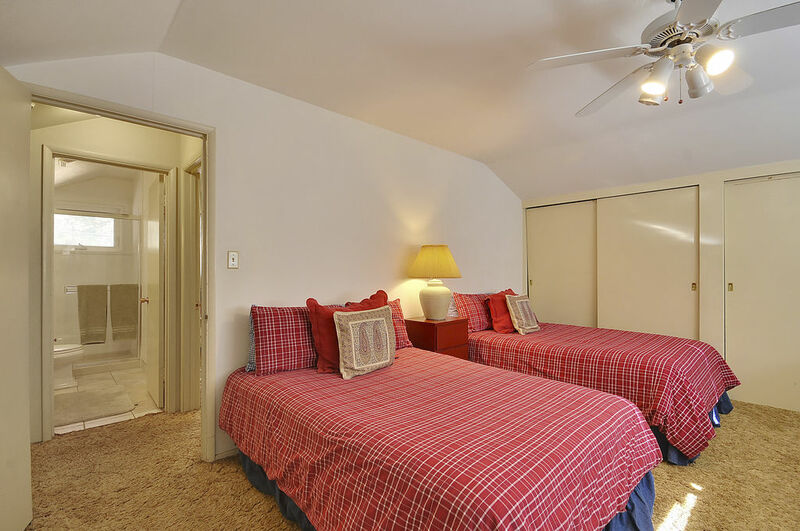 This comfortable vacation rental home is set up for family and friends to socialize. 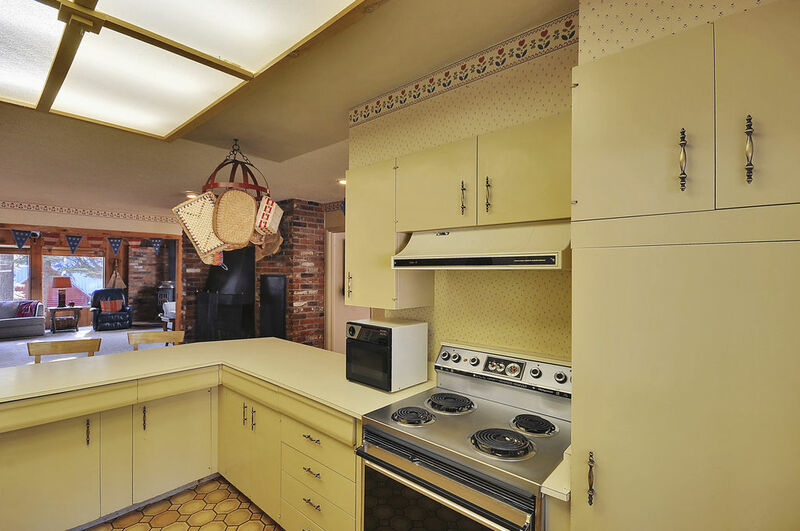 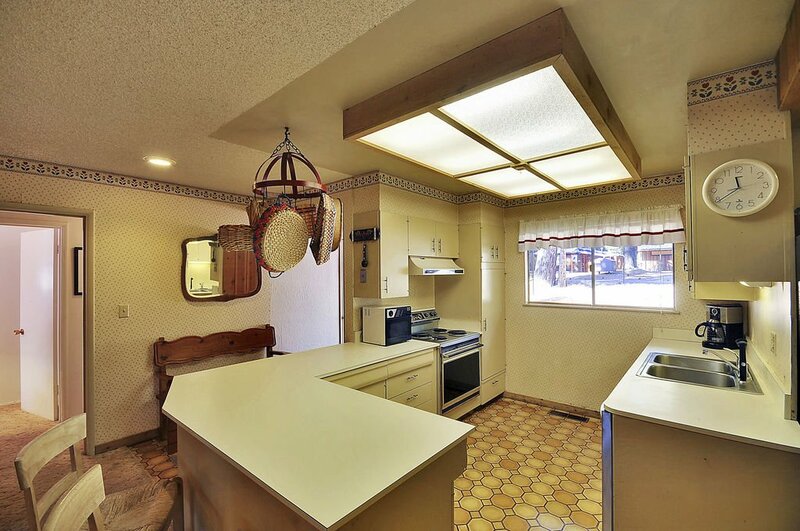 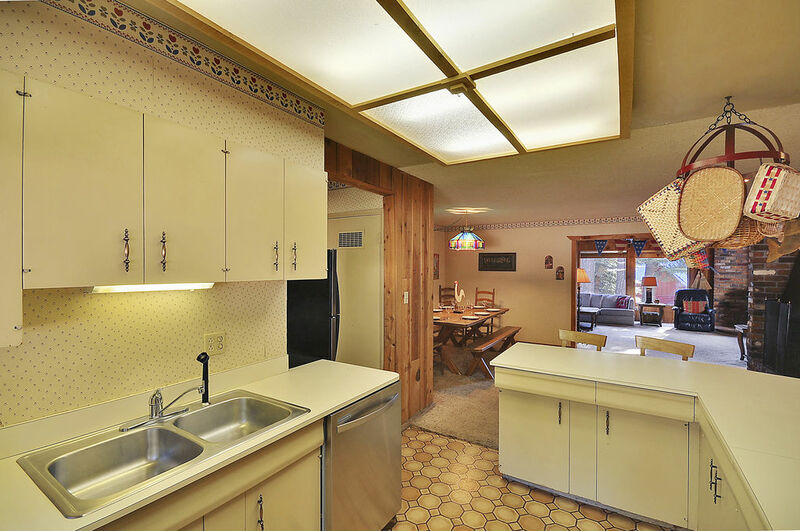 The kitchen is open and well equipped, including a breakfast bar with 4 seats for keeping the cook company. 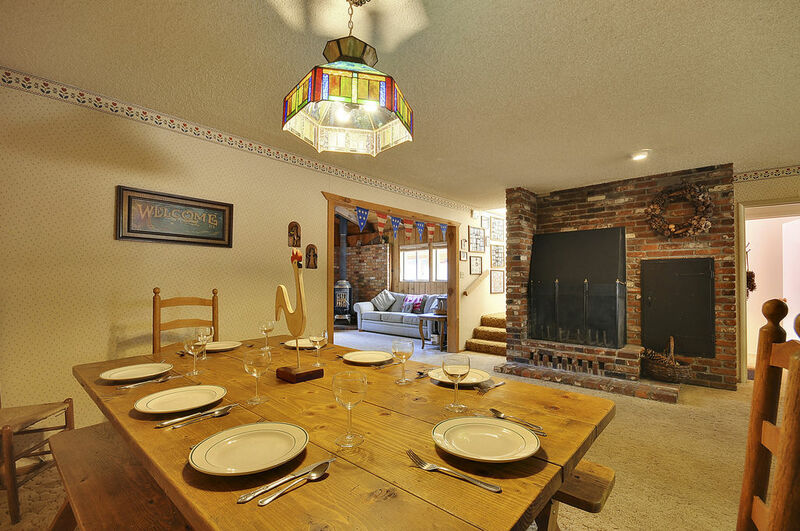 The dining room has bench seats so you can all eat together for hours of socializing with great food, good wine, friends and family. 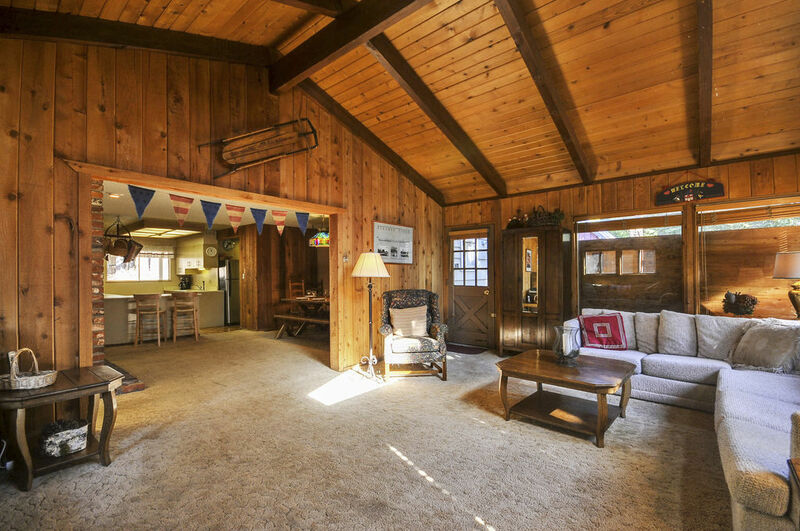 This vacation cabin is dog-friendly so nobody in the family will be left out, and there is a great open fireplace for cozy winter nights. 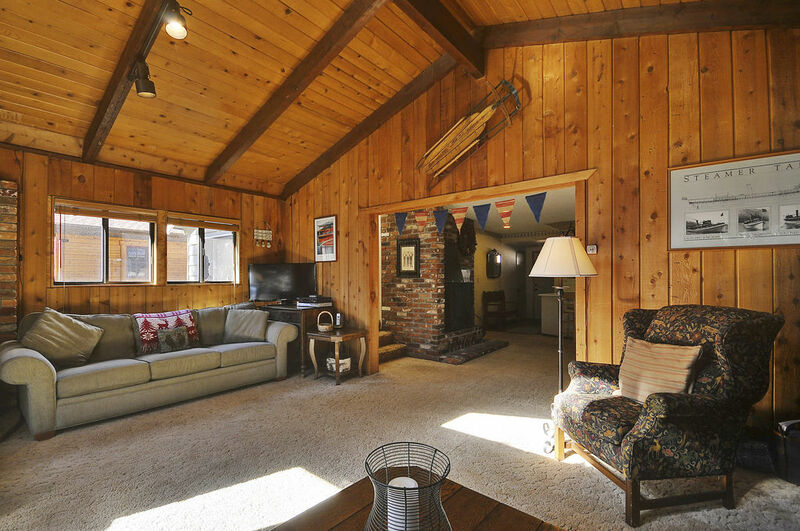 The living room is open with lots of seating around the wood stove, and has a TV with DVD player. 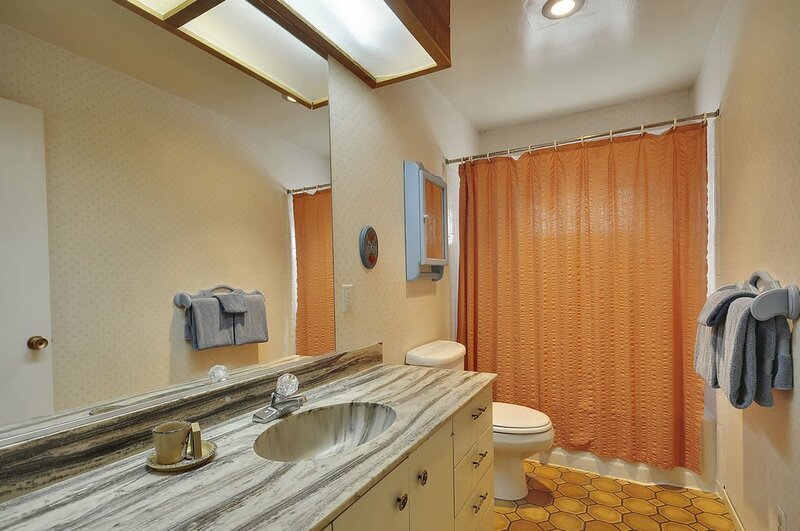 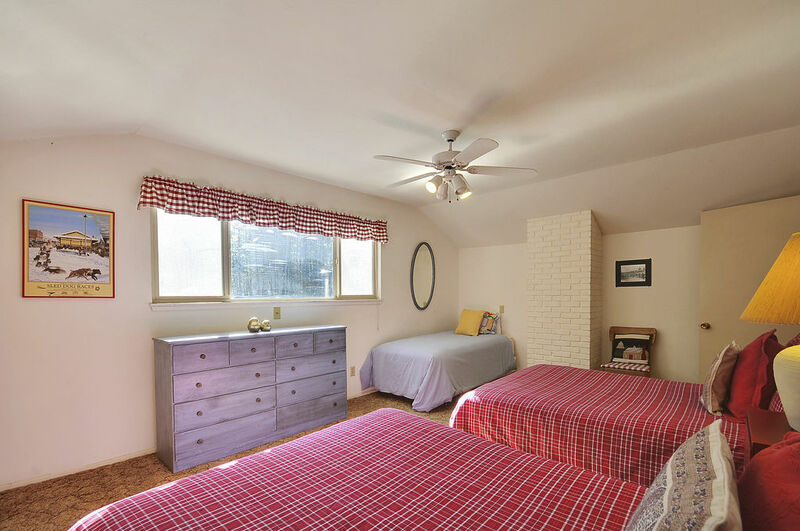 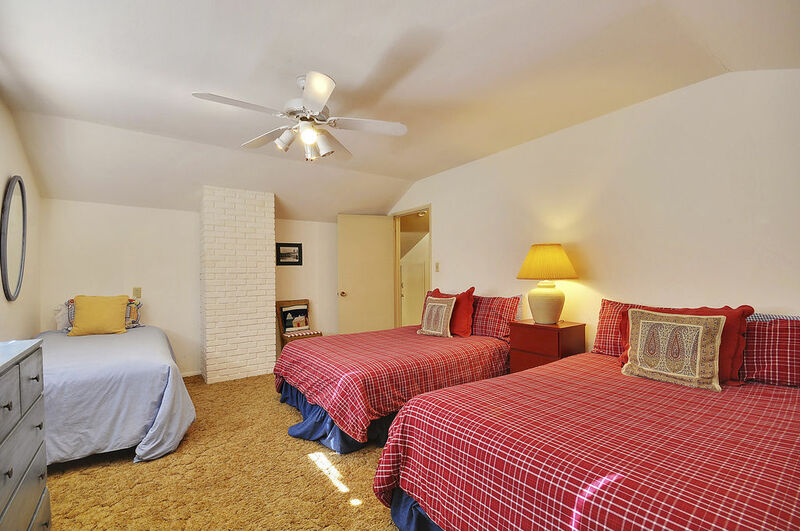 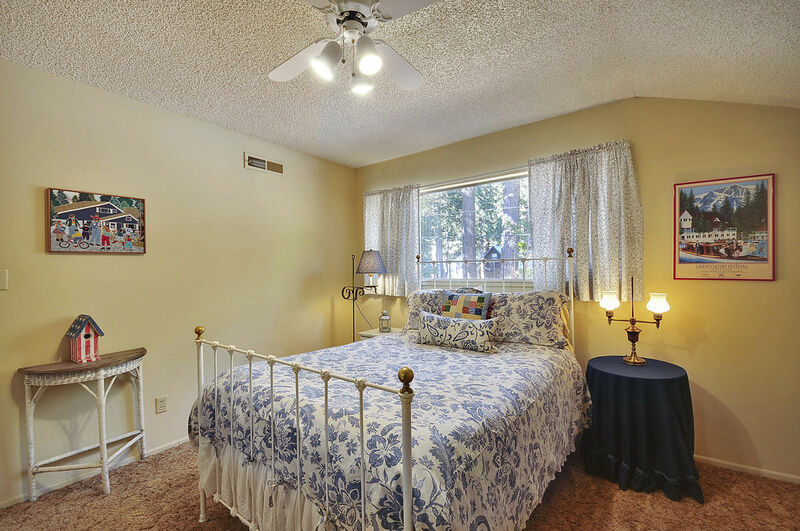 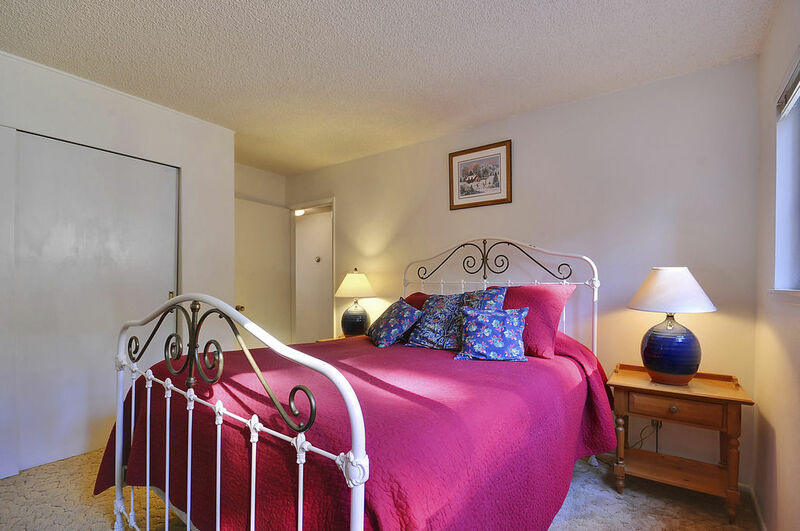 There are two bedrooms downstairs each with a queen bed and a bathroom with a bath/shower. 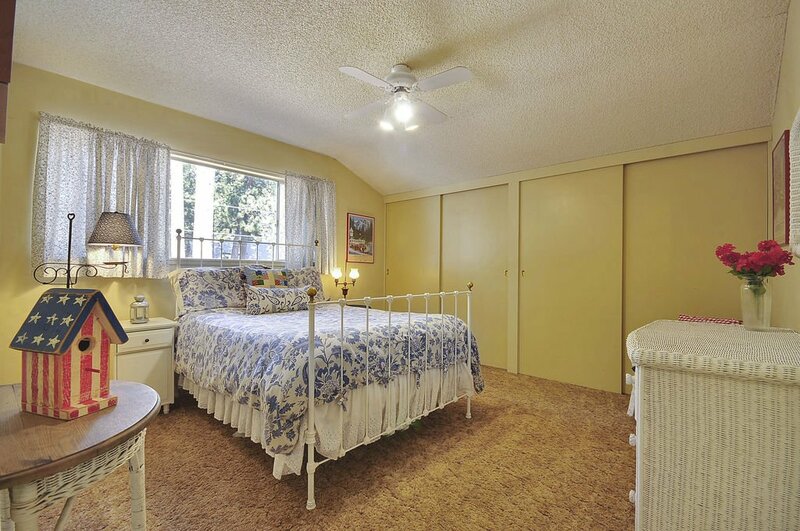 Upstairs there are two more bedrooms, one with a queen bed and the second with two double beds and a twin bed. 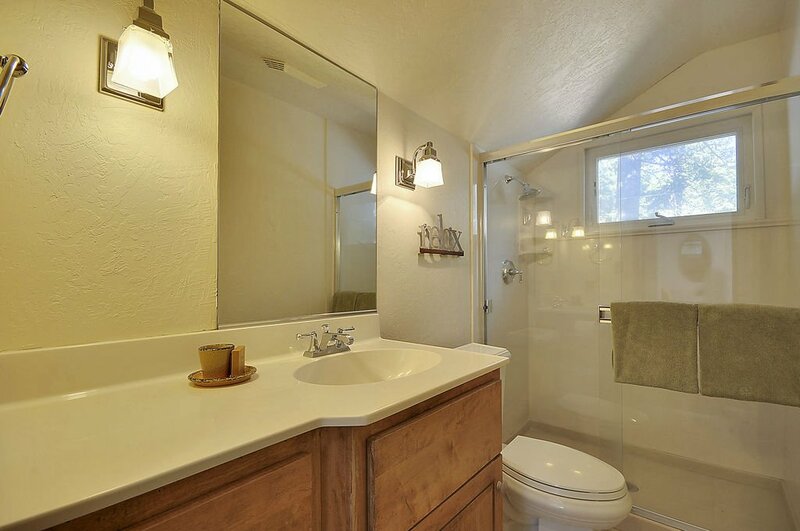 There is also a bath/shower on this level. 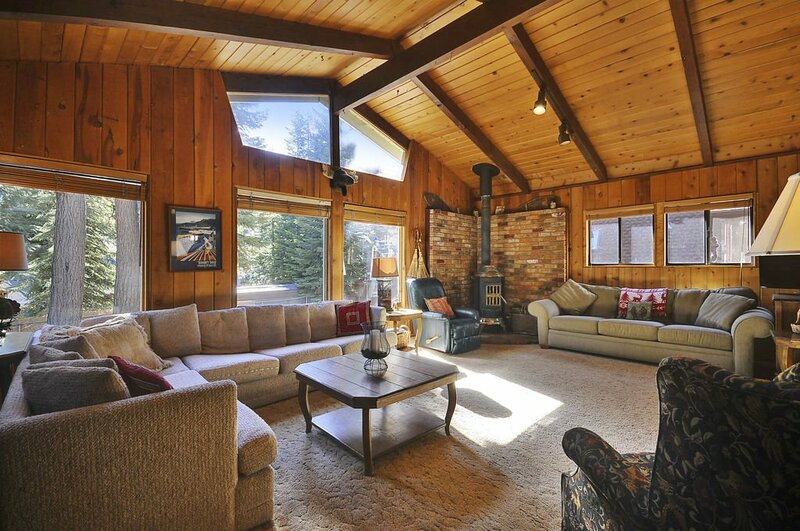 This great family retreat is centrally located to great beaches in summer and great skiing in winter. 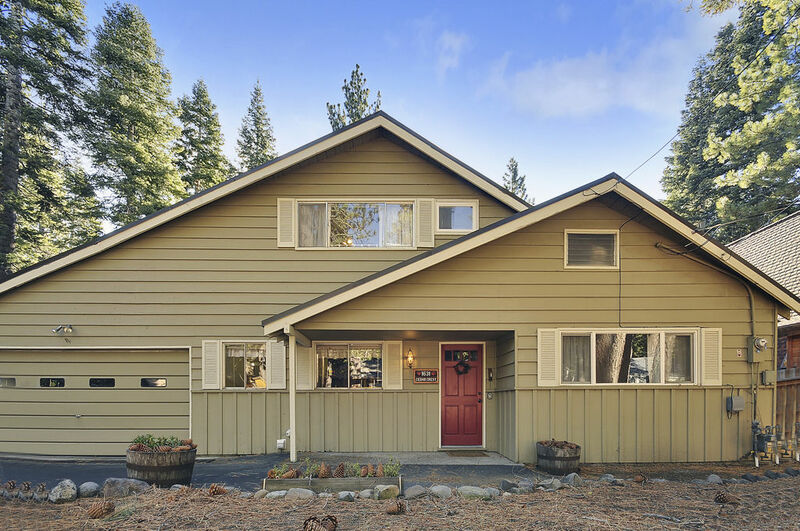 In winter you can get the shuttle up to the back side of Alpine Meadows and be there in 10 minutes, or it is a quick drive to Alpine Meadows, Squaw Valley, or Northstar. 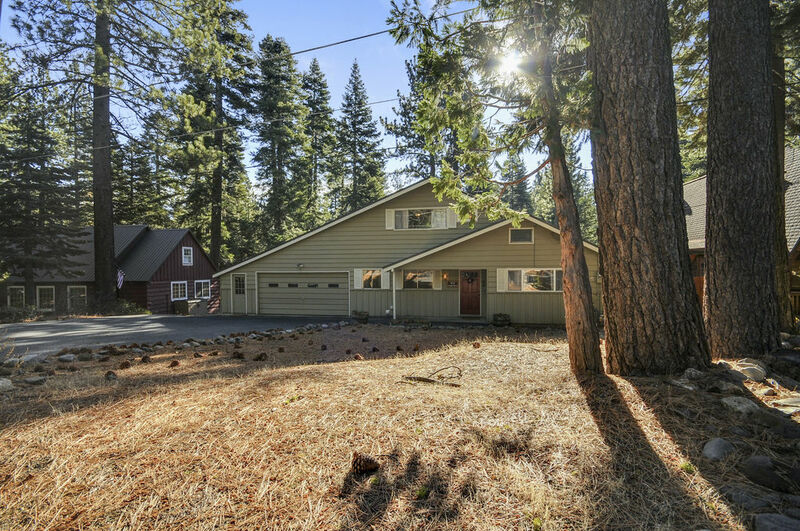 Lake Tahoe is also a short walk away, and a short drive will get to you to Tahoe's favorite beaches, such as Common's Beach or Meeks Bay. 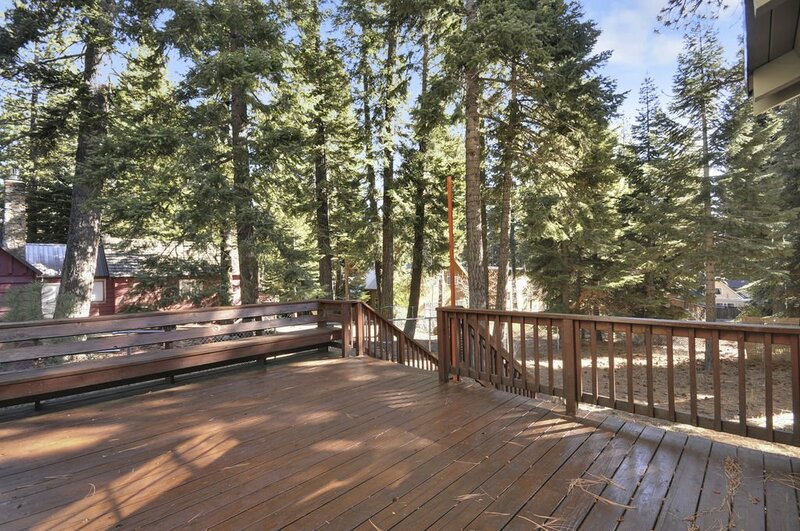 Tahoe City is a couple of miles away with great shopping and restaurants. 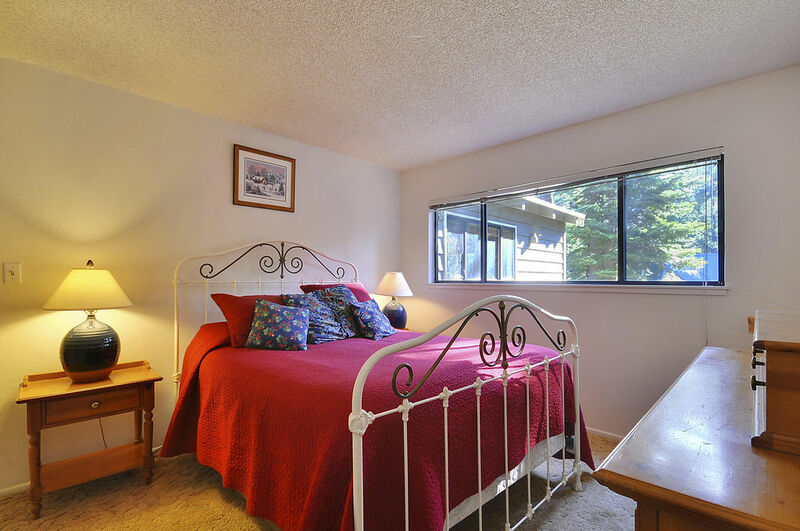 All sorts of activities are within a 30-minute drive from great golf courses to snowmobiling and cross-country skiing.